The Johnson will soon become one of two Art Series hotels in the River City. 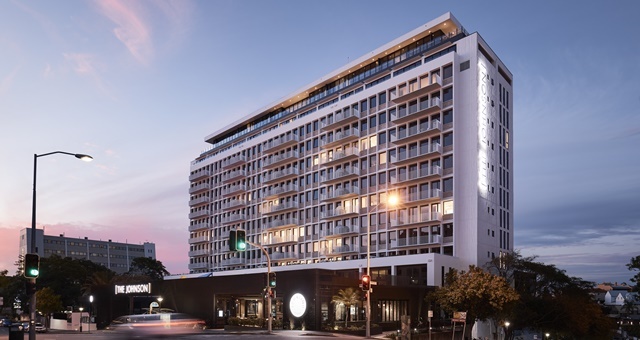 The Johnson, part of the Art Series Hotel Group, has signed a partnership with Brisbane Powerhouse to become the official accommodation provider and partner of the 2019 Brisbane Comedy Festival. Scheduled to take place from 22 Feb to 24 Mar, the annual showcase of hilarity is part of a rapidly rising arts and culture scene in the Queensland capital. The agreement sees The Johnson releasing a range of great rates with discounts of up to 15% during the festival when booked direct with the property. The upcoming comedy festival is the 10th iteration of the event and will again draw some as many as 70 of the world’s foremost and creative wits for a series of shows in various theatres around the city. Three festival hubs will create a triangular centre of comedy for the festival, with performances to take place at SunPAC, at Brisbane City Hall and the Brisbane Powerhouse. “Brisbane is Australia’s fastest-growing capital city with a burgeoning art culture so we are excited to officially partner with Brisbane Comedy Festival and Brisbane Powerhouse,” said AccorHotels COO Pacific Simon McGrath.